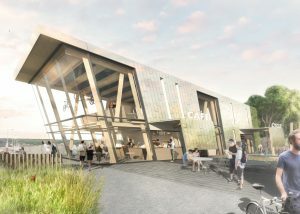 Hewitt Studios have been commissioned to develop an exciting activities centre concept to be located in Weston-super-Mare, on the shores of the Bristol Channel. 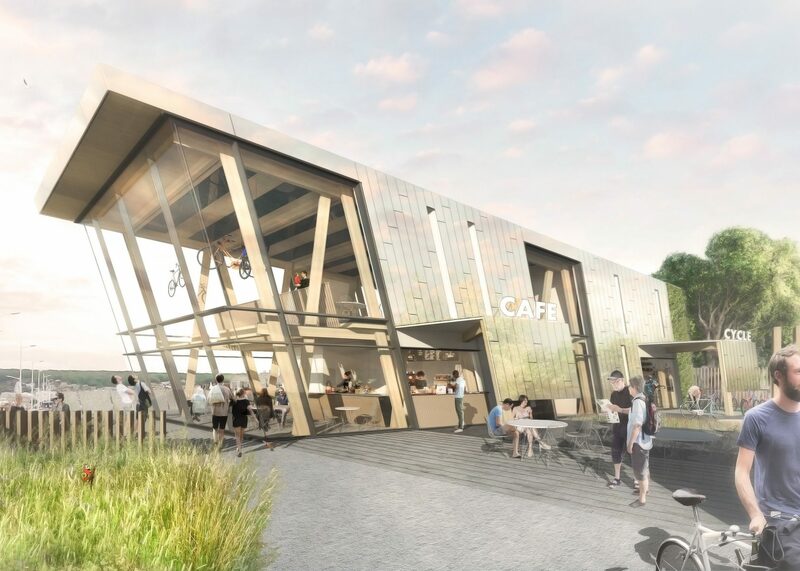 Working with partners including Sustrans and North Somerset Council we have designed a sustainable destination for visitors and locals along the coastal cycling route from Brean Down to Portishead. The scheme forms the hub of ongoing improvements being made to the cycle network in the South West and seeks to act as a catalyst to promote year-round use of the infrastructure and to attract additional funding. North Somerset Council’s members backed the scheme after receiving confirmation that the Department for Transport will provide £1.25m towards sustainable transport initiatives in the region.